Comparing Linux with the Macintosh is a little bit difficult as the former is an operating system that can be installed on any computer while the latter is complete package that includes both hardware and software. The OS on the Macintosh though is based on a distribution of Linux called BSD and they share somewhat similar characteristics. The most major difference between Linux and the Macintosh operating system is in the licensing. Linux is open source software while the Mac OS is proprietary. You can download and install any Linux distribution on any compatible hardware without spending a penny on the software. You can only get the Mac OS along with a Macintosh as they are sold as a package, but you can be sure that part of the price that you are paying is for the software. The great advantage of the Macintosh comes from being sold as a package, as you can use the Mac as soon as you take it out of the box and plug it to your wall outlet. You would not need to know anything more complex other than the actual usage of the computer. Linux is a little bit more complicated than Macs as there are a wide variety of things that you need to configure before you can use the computer. Even if you have your computer set-up beforehand, you would still need to learn how to correctly install packages or modify any of the settings on it. 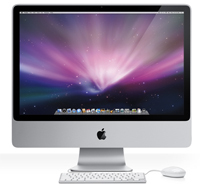 Most Macintosh computers being sold and bought nowadays are desktops or laptops. Though there are versions being sold that is meant to run as servers, these are not really very popular as a lot of people prefer other systems. On the other hand, Linux is a very flexible operating system that can be used for a lot of applications including desktop and servers. You can find an install packages that would transform a desktop installation into a server computer and vice versa as long as your hardware is capable. Ben Joan. "Difference Between Macintosh and Linux." DifferenceBetween.net. June 20, 2017 < http://www.differencebetween.net/object/difference-between-macintosh-and-linux/ >. Linux comes in so many versions that choosing one can be confusing to say the least. But I’ve found that by far the easiest one to both install and use is Peppermint 3. You will probably want to uninstall a few programs and replace them with others (e.g. replace gpicview with gthumb) but after clicking on the terrifying-sounding Synaptic Package Manager, you’ll discover that it’s easy. Apple doesn’t come from linux, but its based of Unix. Look at the directory, command lines etc. exactly the same. The user interface is not that far off compared to Ubuntu either. BSD a distribution of Linux???? BSD like Linux is a variant of Unix, that is, they are Unix-like. But unlike Linux, the BSD ( Berkley Software Distribution ) on which Mac OS X is based meets the Single Unix Specification. BSD is not Linux. Linux is not BSD. Mac OS X is based on BSD (Darwin) All three , however, share the same grandma; Unix. Anyone can buy a copy of OS X from an Apple store, online or in an electronics store. There are people who have installed it, with some tinkering to their PC, on a non Apple machine. Distribution is one of the four elements of the marketing mix. Distribution is the process of making a product or service available for the consumer or business user that needs it. This can be done directly by the producer or service provider, or using indirect channels.